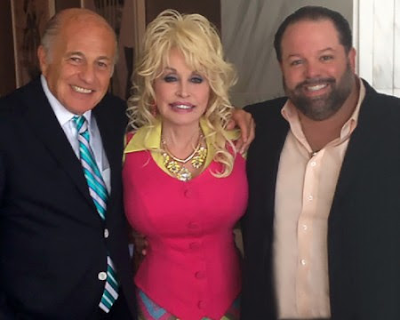 Today, world-renowned singer/songwriter/entertainer Dolly Parton and Sony Music Nashville announced a joint venture and the launch of Dolly’s new studio album, Pure & Simple, for worldwide distribution on August 19. 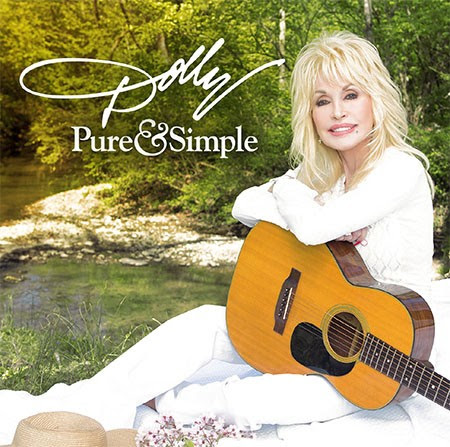 Releasing on Dolly Records/RCA Nashville, Pure & Simple can be pre-ordered starting Friday, July 8. “I may not be pure, but I’m as simple as they come! This new Pure & Simple project is really special to me because I’m taking my fans back to my roots. I feel like these songs have a pure, tender side and we didn’t go overboard with arrangements. I’m so glad we’ve teamed up with our friends at Sony to get this album out to the fans,” said Dolly Parton. Dolly Parton, co-producer and songwriter on Pure & Simple, also revealed the album’s cover art and track listing today (see below). The following is Dolly’s upcoming concert schedule. July 20 Grand Casino Hinckley - Hinckley, Minn.
July 22 Denny Sanford PREMIER Center - Sioux Falls S.D. July 23 Deadwood Mountain - Deadwood, S.D. July 27 Red Rocks Amphitheater - Denver, Colo.
July 29 Sprint Center - Kansas City, Mo. July 30 Scottrade Center - St. Louis, Mo. Aug. 03 Allen County War Memorial Coliseum - Fort Wayne, Ind. Aug. 06 Van Andel Arena - Grand Rapids, Mich.
Aug. 07 Ravinia Festival - Highland Park, Ill.
Aug. 09 Norton Center for the Arts - Danville, Ky.
Aug. 10 Ford Center - Evansville, Ind. Aug. 12 BOK Center - Tulsa, Okla.
Aug. 13 Verizon Arena - Little Rock, Ark. Sept. 22 Northern Quest Casino - Airway Heights, Wash.
Sept. 24 Shoreline Amphitheatre - Mountain View, Calif.
Sept. 25 Santa Barbara Bowl - Santa Barbara, Calif.
Sept. 27 Valley View Casino - San Diego, Calif.
Sept. 28 Vina Robles Amphitheatre - Paso Robles, Calif.
Sept. 30 Laughlin Amphitheatre - Laughlin, Nev.
Oct. 01 Hollywood Bowl - Los Angeles, Calif.
Oct. 02 Hollywood Bowl - Los Angeles, Calif.
Nov. 15 Pigeon Forge Convention Center - Pigeon Forge, Tenn.
Nov. 18 North Charleston Coliseum - North Charleston S.C.
Dec. 09 Global Event Center at WinStar World Casino and Resort - Thackerville, Okla.
Dec. 10 Global Event Center at WinStar World Casino and Resort - Thackerville, Okla.